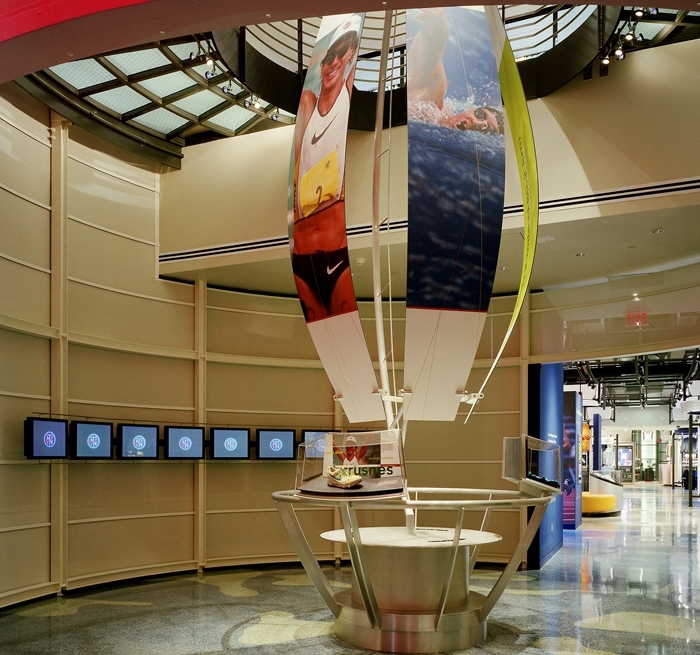 NikeTown Honolulu was designed to reflect the competitive spirit and grueling endurance featured in a triathlon. 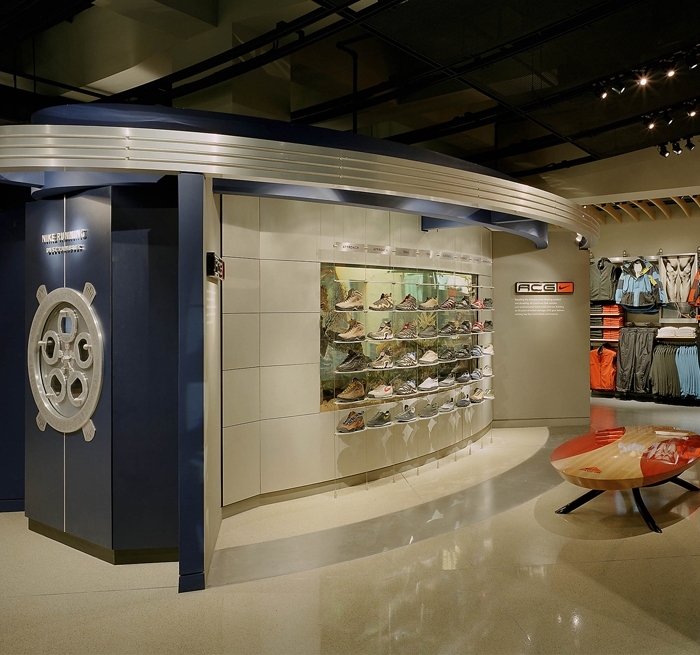 Like other NikeTowns, this retail showpiece displays the breadth of Nike footwear, apparel, accessories and equipment but also tells the Nike story through video and visual exhibits. 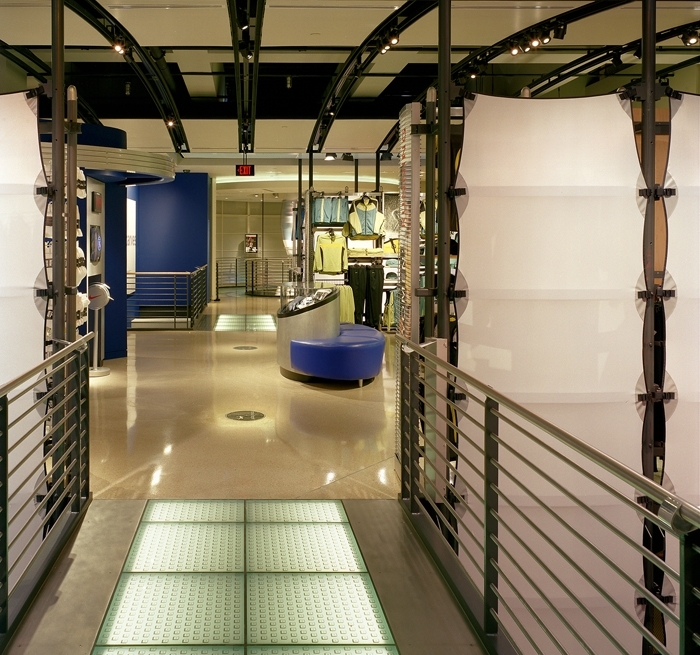 Auerbach Glasow provided interior and exterior lighting for the Honolulu store. The lighting design was inspired by a triathlete’s connection to the land and water. Land is represented by the athletic retail pavilions and the water by circulation/walkway areas connecting each pavilion. The terrazzo tile floor consisted of ten-foot wide panels that displayed a map of the sea in blues and greens. Auerbach Glasow also integrated lighting into the many diverse architectural elements including the custom curved steel ceiling elements. The final lighting design gave the pavilions a distinct sense of place and highlighted the merchandise. The Honolulu NikeTown is now closed. 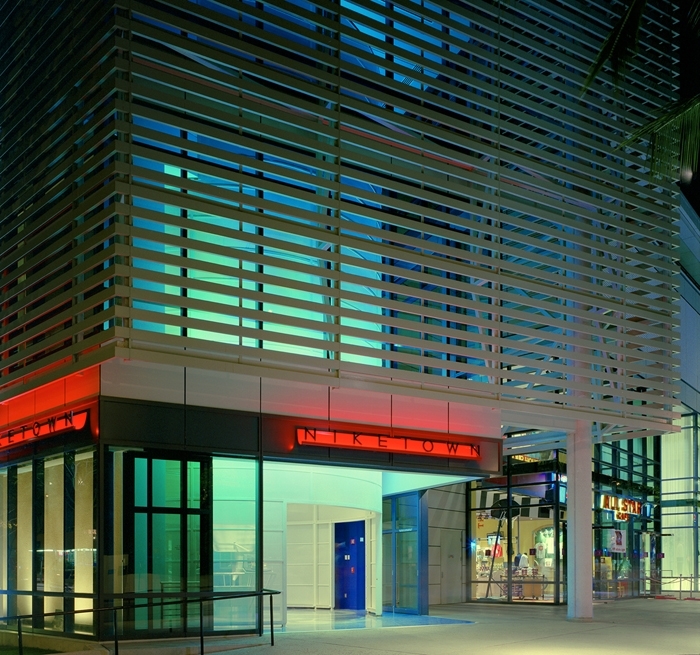 The firm also provided architectural lighting design for the Denver, Colorado flagship store.